The Neo Classic-Space bug is spreading. Now even folks that weren’t even originally part of the coordinated effort on www.neoclassicspace.com can’t help but get in on the action. 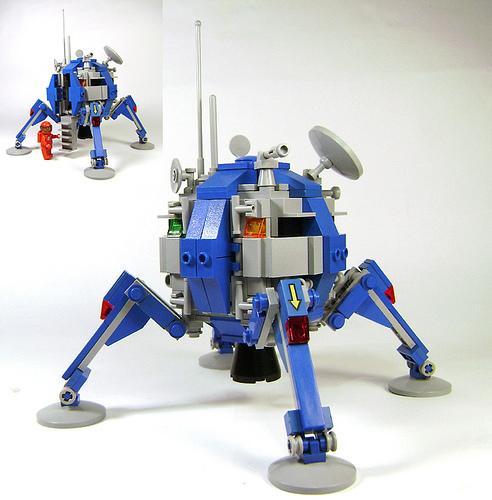 I love what Aaron Andrews (DARKspawn) has just posted, a classic-spacified version of an Apollo Lunar lander. AWESOME! I think the bug is spreading further and further! I know I have it, great work! Man that is so cool!